Brendan Neely (Aspire) provided a Home Buyers report. It was a fast, quality service. He remained in contact though out the process, which I found was essential as I was working to a tight schedule. The photographs of the problem areas raised in the report were very useful. The price of the report matched the estimate. Highly recommended and I would certainly use Brendan again. Very quick and detailed survey and lovely to deal with. Brendan provided a fast, helpful service. The report was easy to understand with photos to make it clearer. The price was also excellent. Highly recommended. Brendan was very helpful. His advice saved us several thousand pounds off the purchase price of our property. I was really blown away by the service provided by Aspire Surveyors. I had previously had a house sale fall through and had dealt with one of the larger market providers who were slow and over-priced and I was becoming quite disillusioned about the service levels I could expect. 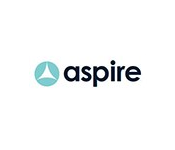 Although Aspire were much cheaper what impressed me most was the personal service and overall quality and attention to detail throughout the whole process. Brendan knows the Manchester area well which is also a real advantage, and he was able to provide an extremely quick turnaround from survey to report. He talked me through his findings after visiting the property which was important for me to put in a realistic offer. His report was fully comprehensive, significantly above the standard of the larger well-known companies. I would definitely use Aspire again and would recommend to my family and friends. They made the stressful experience of buying a property seem straightforward. Now all I need is for Aspire to be solicitors..... then I would be laughing! We were very satisfied with the survey carried out. It was very easy to understand and with clear pictures to see what Brendan was commenting on. Yes very satisfied and would highly recommend this company.